The British Dental Association (BDA) is pleased to work with the National Day Nurseries Association (NDNA) charity to improve the oral health of children attending nursery schools. Last week in March (25-29), the NDNA shared information, activities and resources, produced in conjunction with the BDA, with children, their parents and carers on how to develop good oral health habits for life. To mark the event, the BDA produced a new video entitled 'Going to the dentist', and we will be sharing the videos on 'Why kids love their dentist' and 'How much sugar is in your drink'. The nursery association will also be promoting awareness of the popular Brush DJ app by dentist Ben Underwood to its members during its week-long campaign. The NDNA aims to enhance the development and education of children, through the provision of support services to their members. Every year, the NDNA runs a Healthy Body Happy Me week and this year they are focusing on oral health. 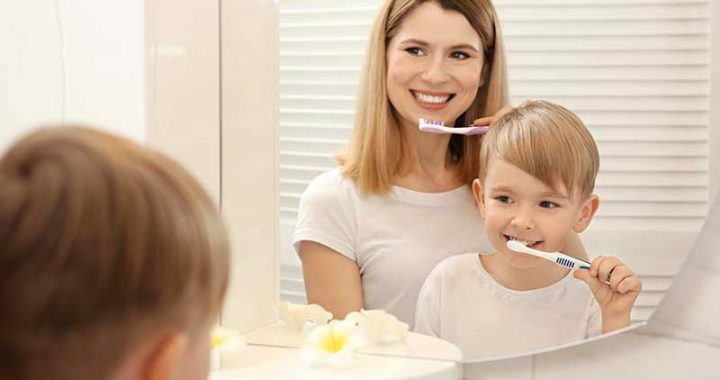 "The recent stats on the extent of tooth decay in kids under 5 were a stark reminder of why it's essential to reach out to children in nurseries and their carers to encourage good oral hygiene habits right from the start. "The BDA is pleased to see the NDNA playing an active role in spreading this message and we were happy to help them with this. "These resources would also be helpful for dental students and dentists when they are doing oral health promotion activities for young children." Mannamead Cosmetic Dental Centre can also aid your children to improve their dental health - contact us now to discover how. Posted in Children, Cosmetic Dentistry, Decay, Dental Health, Fillings, Gum Disease, Health, Nervous, News, Qualified and tagged Children, Cosmetic Dentistry, Dental Health, General Health, Gum Disease, nervous, News, Sensitivity, Smile, Teeth Straightening.